Traveling to Russia is always a trip to remember. But choosing a specific season can sometimes be a real challenge as each time of the year will show you a different side of Russia. We want you to find the perfect time to travel and to do so you should first learn more about what you can see and do during each of the seasons in Russia and pick the time depending on your preferences. So this week, our rep Vera is showing you what to expect if you decide to visit Russia in winter. 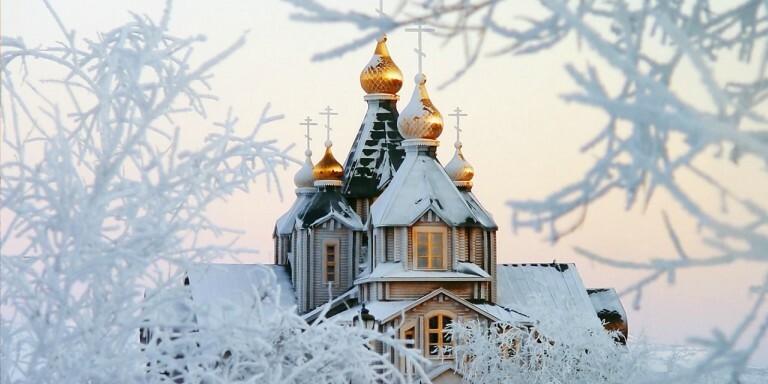 Hence, if you enjoy the snow and chilly weather, then Russia in winter can be the perfect destination for your vacation. We would like to also point out that there are quite a few benefits that come with traveling in the colder months. First of all, the lack of tourist crowds will surely make your trip more pleasant. Unlike the high season - May-August, winter does not attract as many travelers, which makes exploring the gems of Russian cities a breeze. So if you enjoy exploring different museums without the crowds of tourists and if you are a theater fan, there is no better time to visit Russia then winter months. Secondly, the white landscape of Russia means only one thing - an ideal time to enjoy outdoor winter activities. Starting from the chance to witness Northern Lights in the Karelia region or a hovercraft ride on a frozen lake to husky-dog sled rides through snow-covered Russian forests and of course - a troika ride in Saint Petersburg. Plus, don't miss a chance to ice-skate in Red Square. Thirdly, for an even more cultural experience, plan your winter visit in time for traditional Russian celebrations, like the New Year or Pancake Week - Maslenitsa. During both of these celebrations, Saint Petersburg and Moscow are filled with local festivities. You will not only bring back wonderful memories but also learn how Russians celebrate Christmas, New Year and Shrove Tuesday. There are always plenty of things to do and see in Russia during every season. So, if you have visited the stunning country before in summer, maybe it's time to plan a trip to Russian winter wonderland for next year?